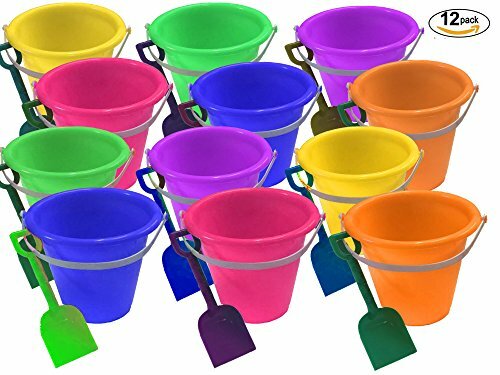 Make your boy's or girl's next birthday party a blast with these party favor size beach bucket and shovel sets! 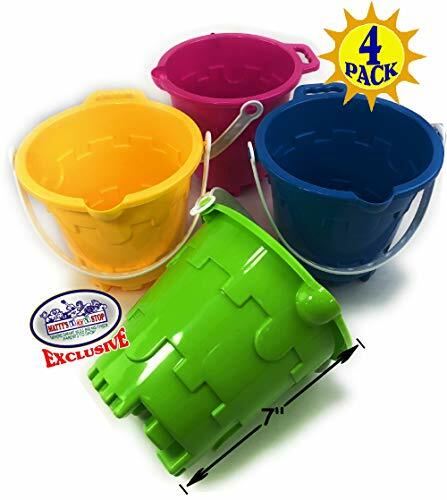 Small enough to be a party favor and big enough to play at the beach or in the sandbox with making it the perfect toy or gift for toddlers and kids. They make for great favors in goodie bags too! 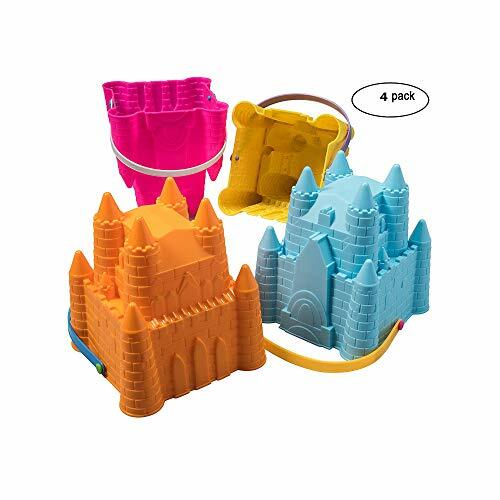 Our beach play set includes four pieces, that will encourage your child's imagination and will bring out your child's creative side by building sand castles or digging in the sand.Other mini bucket beach sets are made out of cheap plastic materials that break at the drop of a hat. 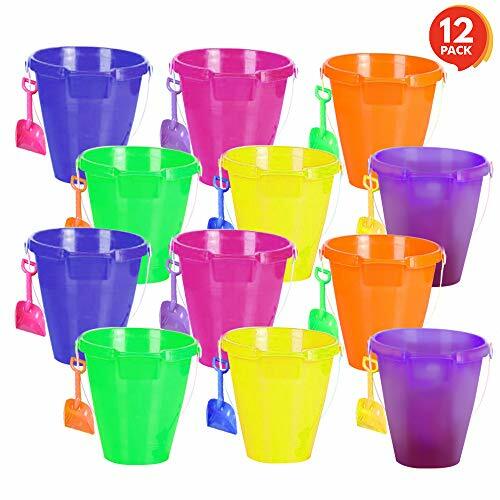 If you're looking for great mini bucket beach sets at an even more afforable price to give away as party favors, then your search can end here! 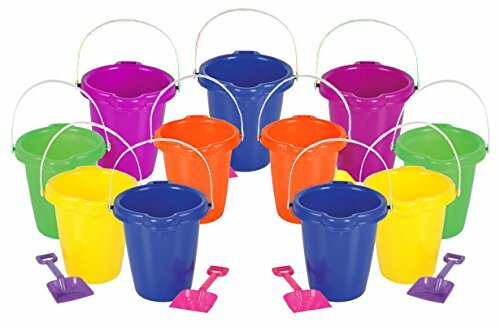 These beach bucket sets have everything you're looking for. 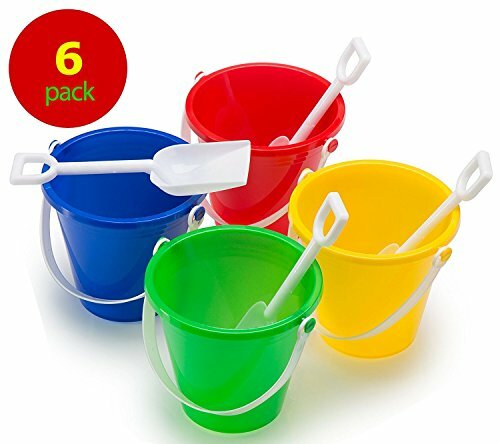 It's not hard to see why customers love it with features like: Bright Neon Colors Each Set Includes 4 Pieces 3.5in Bucket with Handel 6 in Shovel, 5 in Rake, and 3in Scoop Pack of 12 Sets A perfect toy at the perfect price!Why Wait!? 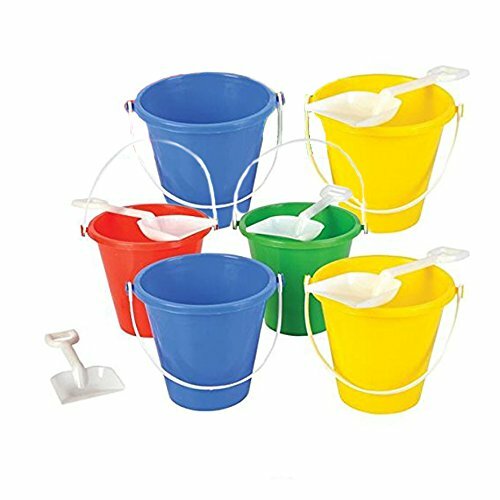 Click "Add to Cart" to order your sand bucket beach party decorations today! An absolute essential for sure-fire fun on the shoreline. 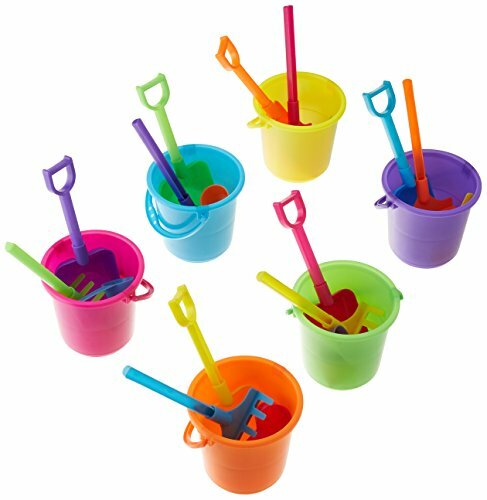 Sand castle construction is more fun with these pail and shovel sets. 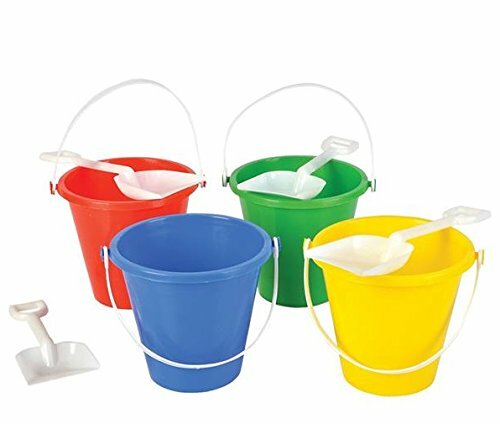 For ages 5+. 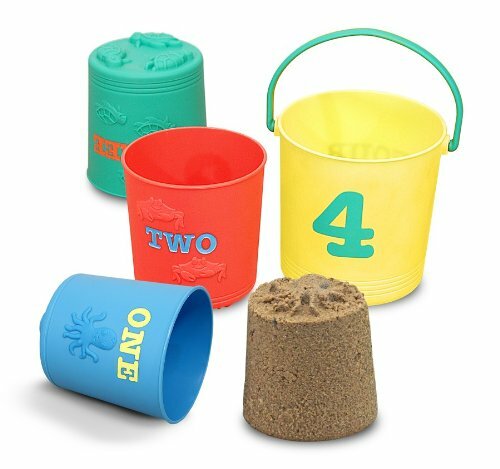 Whether it's a sandbox or beach, this Sand Bucket Assortment will provide so much fun that time will slip through your fingers unnoticed! 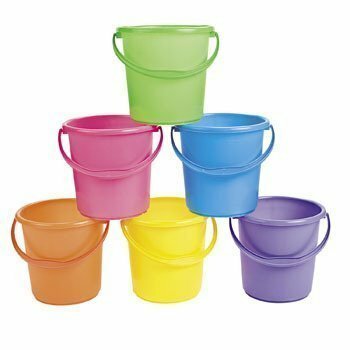 This assortment includes 12 bright and colorful plastic buckets that can also double as a fun twist on traditional Easter baskets! 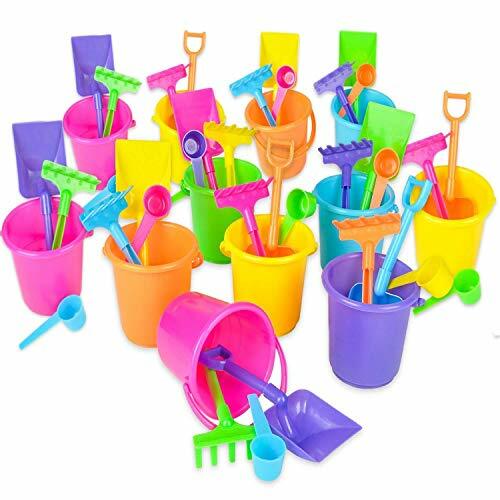 Get kids building sandcastles in an instant or have them on each place setting filled with gifts and treats during a beach-themed party for adults. 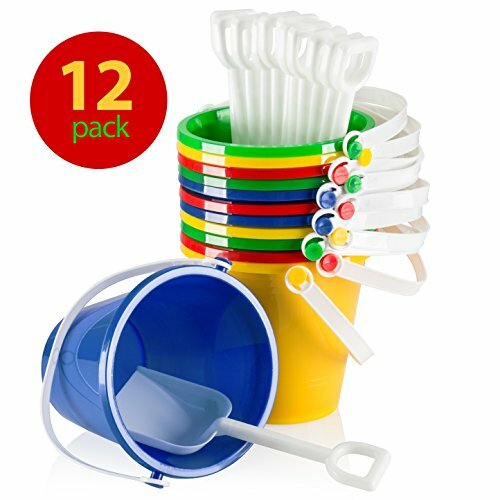 No matter what you do, this assortment will fill your event with fun! Plastic. 7 Inch x 7 Inch diam. 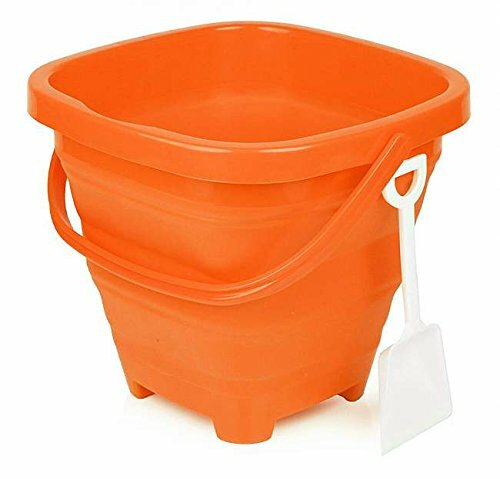 with handle. Assortment may vary. Per Dozen. 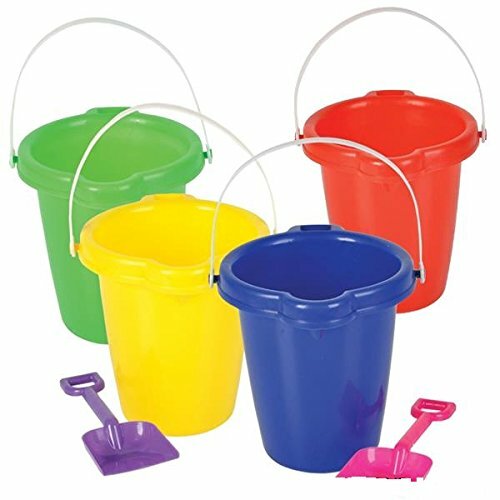 Three Metal Easter Pails or Beach Sand Pails Superman and Spiderman 7"